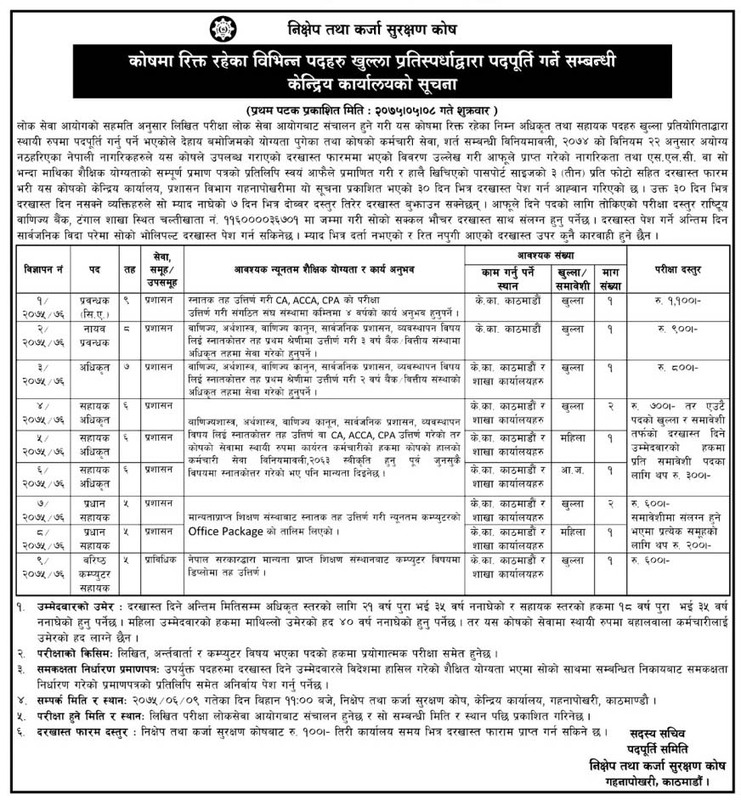 Nixep Tatha Karja Surakshan Kosh published a vacancy announcement at Gorakhapatra on 2075/05/08 for various post. As their vacancy notice written exam dates and exam centers will be published later and exam will take by Lok Sewa Aayog. Last time to apply for these various post is 30 days after the day of notice first time published. Check Vacancy Announcement Nixep Tatha Karja Surakshan Kosh below.